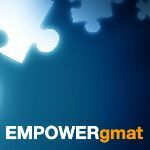 I took the GMAT on Saturday and completely bombed it. I took a Kaplan Course and my diagnostic test was a 530. I started to get scores up to 660, on both Kaplan Prep tests and the GMATPrep tests. I went in on Saturday.. and got a 490!!!! I had never scored so low - I was in shock. So much so, that I cancelled instantly before I could remember by Quant and Verbal breakdown. Which I know is incredibly unhelpful at this point, but it was honestly a blur. I felt that the exam seemed easy.. which made me nervous, but then I thought I was overthinking it. I was confident when I hit submit and was appalled by my scores. Anyone have experiences they can share? I am taking a hiatus before I retake the Kaplan course - In Person. I start up again next week. I didn't feel I was over-doing the studying and I also don't feel I took too many practice tests, I averaged about 1 a week and saw varying scores from 600-660. My Verbal had been about 89th percentile and math, at best, was 65-70 percentile. Any advice is warranted and appreciated, please let me know your thoughts around this.